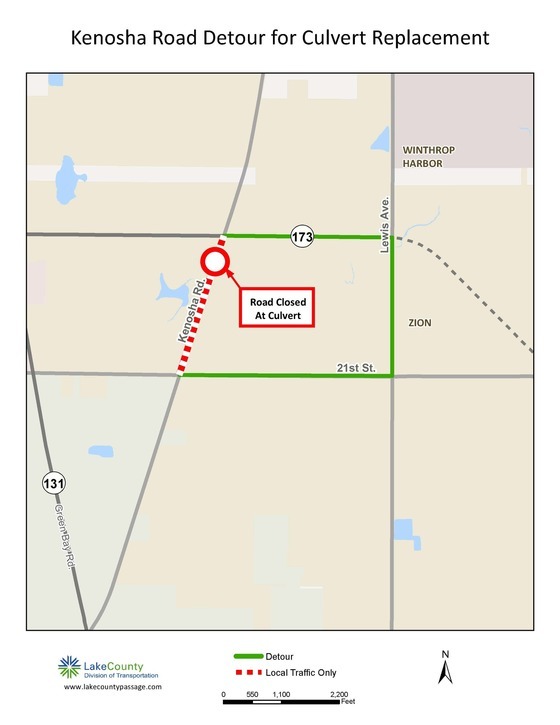 Zion, IL – The Lake County Division of Transportation (LCDOT) will be closing Kenosha Road, from 21st Street to IL 173 to through traffic starting Wednesday, Oct. 17 at 2 a.m. and is expected to reopen by mid-November. The closure is necessary for a culvert replacement. Detour Route: IL 173 to Lewis Avenue to 21st Street. Local traffic will have access on Kenosha Road from 21st Street to Highlands Drive.